When it comes to customer satisfaction, we make sure our customers are happy from start to finish. We use Guild Quality to allow each customer to share their story. Read our reviews below! The guys that came here from Royal Home Improvement Specialists did good work. They were very professional and very courteous. They did this job during different times, when it was raining and they were still professional and did a great job. I thank them very much! I am well pleased with the service and quality of the workmanship. The real surprise was the amount of energy I’m saving, even though I was told that I would. Well done Joseph and Royal!! Thank you! The guys were real fun; they were fun, very professional, and I enjoyed them. I really did enjoy them a lot. I was sad to see them go. They were real sweet, and it was really cold here, so I gave them hot chocolate and they were very appreciative–really sweet guys. They were very professional, on time, and knowledgeable. If they needed to change anything they called to notify me. We love the windows and the door. The door is exactly what we wanted. We were very pleased with how everything looked. We had used them before so we had no problem calling them again. I can’t even tell that the windows are installed, that is how clear the windows are. It is amazing. It truly looks like nothing is there. They have a good product. They did a great job and I love my windows. It didn’t take them long to do it, either. I had a sliding glass door installed in my house and the team at Royal did an incredible job. Life is much easier with back door access to my backyard! The best part was that I came home to no mess whatsoever the day it was done! Thank you so much to Jim, Chris and the rest of the crew who completed the job! The workmanship and the professionalism are perfect and they do a great job on both windows and siding. They did an excellent job, it rained while they were here. They took a break for a minute and then finished it right up. The place was spotless when they left. They were friendly, courteous and did a great job. They were very professional! It was all done in one day. Everyone that I came in contact with was excellent. Especially Chris one of the installers and Cordel. It was Clear that they had a lot of knowledge. I was really pleased with the work that they did and the effort that they put out. I was most satisfied with the communication in timelines. They stayed on schedule or were early. Anytime they said they would be here, they were here ahead of schedule at least a few minutes and they communicated that as well. That was probably the best part. I was very satisfied with how quickly they finished everything. 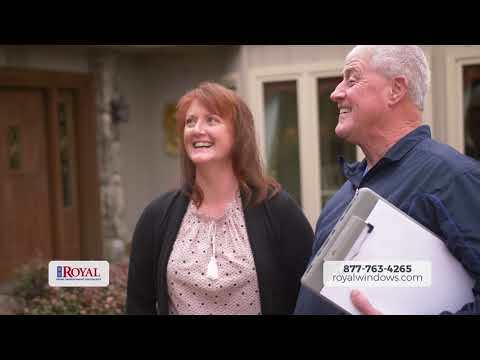 We window shopped for about a year and when we discovered Royal Home Improvement Specialists, I called them and let them know exactly what we wanted and that I didn’t need a sales pitch and they worked with me very quickly and efficiently. A lot window salespeople you practically have to run out of your front yard but with Royal Home Improvement Specialists, I was able to tell them exactly what I needed and they came and did a professional job. I was most satisfied with the installation. The guys did a really good job and did not leave a mess. My son was taking a nap at the time so they took the extra step to be as quiet as they could. Eddie Hicks was very professional with his presentation. The two gentlemen that installed the windows did a great job and were so polite and helped us solve a problem with the existing windows. Great job! I would like to recognize the two gentlemen that did the installation. They were perfect, nice, clean, worked fast and steady and did an excellent job as far as I know. I have had them about two months and so far, they have been excellent. he salesman was great. Communication from start to finish from the corporate office in Arkansas was great. They met or beat expectations on delivery, they were there on time when they said they would be there for the installation and inspection, were all around great! I was most satisfied in terms of the professionalism of the installation, and also in that they were very thorough and made sure everything was installed properly. 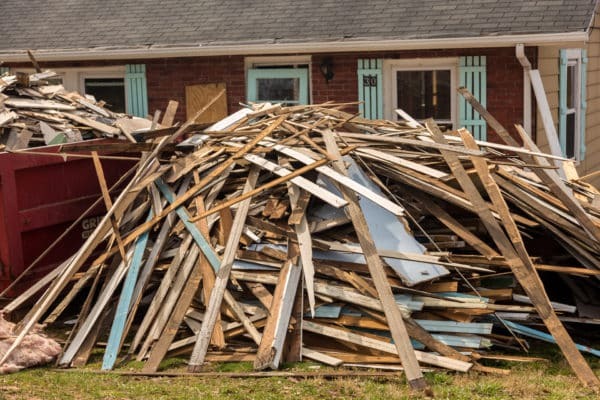 They also cleaned up everything and there was no debris left. It looked very good. I would like to recognize the man in charge of the job, he was very professional and I enjoyed being around him. I would also like to recognize the salesman, he was a really nice person. All of them were great and helpful. The main guy that was over everything was awesome! He was a big help. He made everything right with no questions asked and he was professional. Installation crew were very knowledgeable and kept area clean. Placed everything back just as it was and even put drapes back up. I would like to recognize the guys who installed it. My broker was there and was really impressed with how well they did the work. Also the salesperson, he was very knowledgable and knew the product. He helped me get the best discount also. I was most satisfied with Royal Windows & Siding because of the front window. I always wanted a full front window between my two stashed windows. It has changed the look of my home. I was told by several other companies that it couldn’t be done but Royal did it! I was most satisfied with the workers. They were fantastic and took their time and kept everything clean and neat, just the way I like it. I am very satisfied overall. They enclosed my front porch, and it looks good and goes with rest of the house. It’s whether-proof, turned out good, and we enjoy it. The two young men who installed our stuff were exceptional. They were very polite and cleaned everything, they did every well and quickly and were very pleasant. We were completely satisfied with Royal Home Improvement Specialists, from the consultation appointment to the completion of the project. The workers who installed the windows and doors and the workers who installed the siding were professional and courteous. We will not hesitate to recommend Royal Home Improvement Specialists to others! In fact we already have! If your windows were ruined by Hurricane Harvey, I have a recommendation for you–Royal Home Improvement Specialists. Not only did they have the best reputation (I researched for HOURS), they had the best warranty, which was crucial to us. We met with Robert McCallum, and he was so professional and courteous. He patiently explained every step of the process and encouraged us to ask any questions we wanted, then double checked our order by going over it in meticulous detail before leaving. If you carry Windstorm Insurance, you must make sure your windows meet the code!!! Royal Home Improvement Specialists ensures that you are code compliant. I am so glad we choseRoyal Home Improvement Specialists. Thank you, Jeff Kuchar, for sharing your positive experience withRoyal Home Improvement Specialists with us that led us to them initially! You will be hearing from the company because I used your name as my referral–thank you! With a lifetime warranty (unlike many other companies) that provides satisfaction guaranteed, you have a signed contract to ensure that happens. I can only assume that anyone who was not happy did not take the time to let Royal know before posting a negative review because, when we needed a couple of minor tweaks and let them know, they came and addressed the issue within a day or so and immediately made everything perfect!Royal Home Improvement Specialists counts on you letting them know if you would like them to fine-tune something! After hearing horror stories from some of my neighbors about their windows, I know that not everyone is as fortunate as we have been. I only wish we had gotten our windows in time to let our neighbors make the right choice as well! I encourage those who have had positive experiences to take the time to leave feedback in order to save others from making the wrong choice about what company to use! THANK YOU, ROYAL HOME IMPROVEMENT SPECIALISTS! YOU ARE THE BEST! I was really pleased with the two installers and I would recommend them to anyone. This is the second big project we have had done and we could not have been happier. They came when they said they were going to, worked a good long day, and came back the second day. They were so professional and so good! I couldn’t have asked for anything more! The workers that came out were excellent. They were efficient and knew exactly what they were doing. We couldn’t be more satisfied with the work that was done. Overall everything was absolutely exceptional. I am very pleased with the quality of work and the pricing. I am satisfied with the job and workmanship. They were professional and done a good job. They did a great job and I was satisfied with their services. They did a good job! I’m very satisfied. Royal Home Improvement Specialists’ installers are true professionals. They are hard workers and stayed until the project was complete. Royal Home Improvement Specialists did a great job! They were very professional and worked together really well. I enjoyed having them around and they explained everything to me. I really appreciated their work. Royal Home Improvement Specialists did an excellent job from start to finish. I am happy with the price and the job! The quality of the work was good and I am very satisfied with it. I am very pleased with the quality of the product and the workmanship. I had a roof that was leaking and two days after they put my metal roof on we had 2.5 inches of rain. It did not leak and ran off great. I am tickled to death to have a metal roof. Royal Home Improvement Specialists did a remarkable job and cleaned up very well. 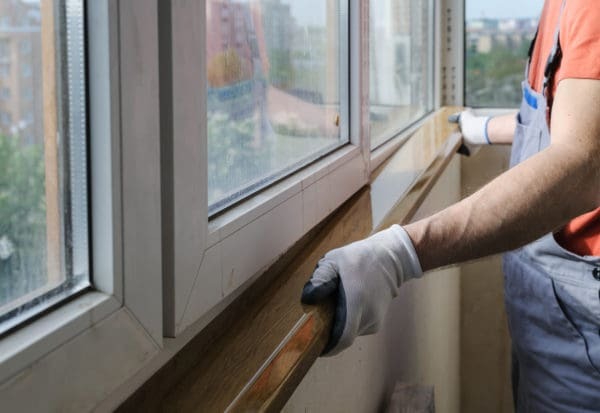 My wife and I had an exceptional home improvement project experience with Royal Home Improvement Specialists in replacing all the windows in our approximately 32 year old home at a very fair price. Everything that was promised and offered at every project stage from the initial consultation/sales meeting with us through the installation process happened exactly that way. In fact, the installation crew completed their work for our 22 window project in one & a half days instead of their anticipated two days. We highly recommend this Made in America Company. So far I am really pleased with the job. I am glad I got them and am still pleased. It is an outstanding company to work with and the quality is very good. In the home I had before, I had the exact same windows, but installed by a different company. This is a brand new home I purchased in January. I had the windows taken out and new ones put in. The project is absolutely wonderful, best in the world or I wouldn’t have bought it. The Company is second to none. The people there are wonderful. They did a good job and did a good job. They got it done in two days! With Royal Home Improvement Specialists, you can’t go wrong. Everybody that I dealt with was courteous and helpful and I appreciated that. 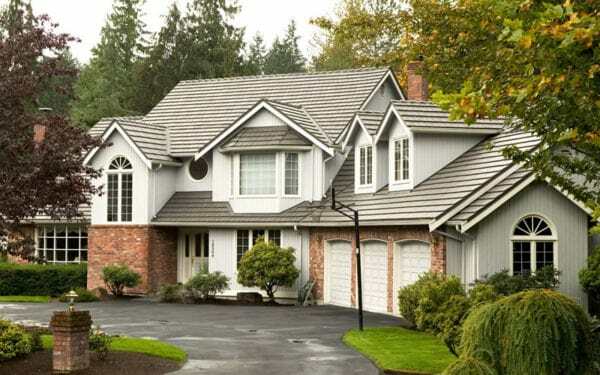 The work they did was excellent and I am very glad I did what I did by getting their windows. They did a superb job on the removal and the replacement. It turned out great. They were punctual and they did exactly what they said they would do in the time frame they said they would do it. The price did not change. We had a plumber that came out one time and gave us a quote and in the end he ended up charging us a couple hundred dollars more than the original quote. This was not the case with Royal. They did what they said they would and did a fine job. I am very impressed! They were friendly, on time, and did a very good job! The staff and the workmanship that they provided was very professional. The crew was very professional, clean, and knowledgeable. Thank you and I would definitely be using them again and recommending them to my friends! I am quite satisfied with everything that was done. I was very impressed. My neighbor was even impressed! I highly recommend them. It was an awesome job and they are friendly people. I’m very satisfied with the quality of the workmanship and materials. They are the best I’ve seen in a long time. They were all professional and it didn’t take them long to complete the job. I am very happy with my new windows, the house is more quiet and less drafty. I also like how the windows can be locked while open. I think they’re great! I would use them anytime, every time! Royal Home Improvement Specialists are very friendly and businesslike. The salesman was also very businesslike and very nice. The windows and sliding glass door are even prettier then I thought they would be! I have received so many compliments on them!